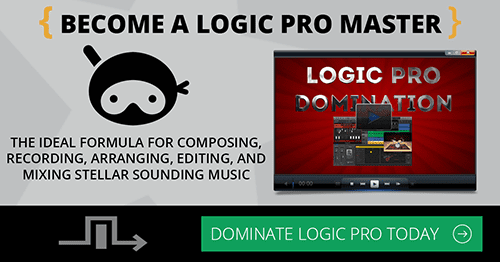 Logic Pro is a big and deep app. There’s a tendency to want to master all of it before you begin creating music. I want to warn you against this. Get the basics down fast. Don’t wait until you’ve watched every video, read every post, or researched every single page Google shows you on the subject. 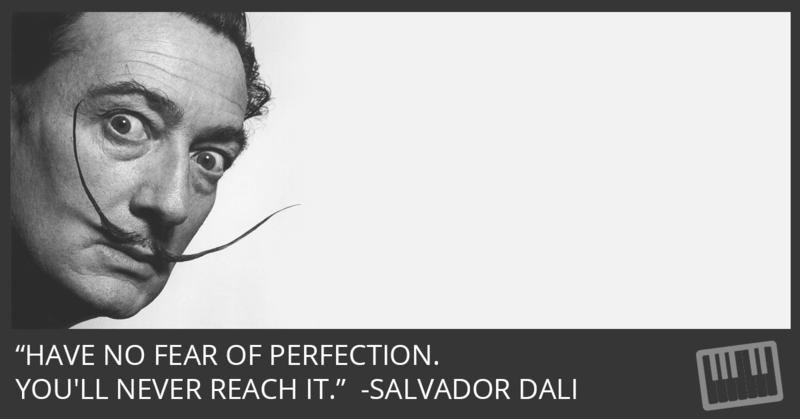 Perfectionism is the worst form of procrastination. It’s absolutely unattainable. And I’m not afraid of making such broad absolute statements about it either. I’m a perfectionist. So I know. I get it. You want to feel confident about what you’re doing because making music can be an especially vulnerable struggle at times. My hope is that you get up and running as fast as possible. You won’t break anything… except for the time it took to record your last track. I hope you break that! Start a new habit: Get things done fast! The highest quality comes from the highest quantity. There’s been studies that support that statement. If you were to ask one person to write the perfect song and another to write as many songs as possible, who do you think is going to be more successful? Learn what you need to learn and get back to work. When you get stuck, learn what you need to learn and get back to work. Go make some music. You won’t regret it. Absolutely! I started recording songs on a Boss BR1600 digital recorder and was excited about actually hearing some of my ideas in a reasonably short period of time. Since then, I was able to purchase my first MacBook Pro and found about GarageBand 10 and Logic ProX. My intention was to finish the ideas I started on the BR1600 in GarageBand then Logic Pro. I became overwhelmed by the depth of each program to the extent that I got “stuck”. 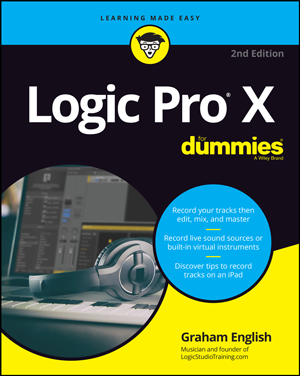 In my mind and spirit I hear and visualize the music I want to create, but become quickly frustrated because of the sheer immensity and complexity of Logic Pro X. One step at a time! Thank you, Graham!!! At the end of last year I left the community based Mitcham Orchestra after 25 years as its first MD / Conductor / arranger / downloader / music printer etc. The idea was to spend more time at home doing house repairs ,gardening, decluttering, housework and so on. This year my first One Big Thing was to check and transfer the 500 or so folders of orchestral parts from my place to their rehearsal room. This process was completed by the end of June. During this time I made a list of arrangements I had made for the orchestra, for processing on logic x and then marketing as score and parts along with audio and midi file. Also I made a new orchestration completely on logic x. Similar to pro 9 but faster. Dynamic markings etc easier to place. *HOT TIP* — Make sure KEY COMMANDS are EXACTLY THE SAME as what you are used to. Since then I’ve mixed two or three short pieces from the list. See you later tonight ! ?